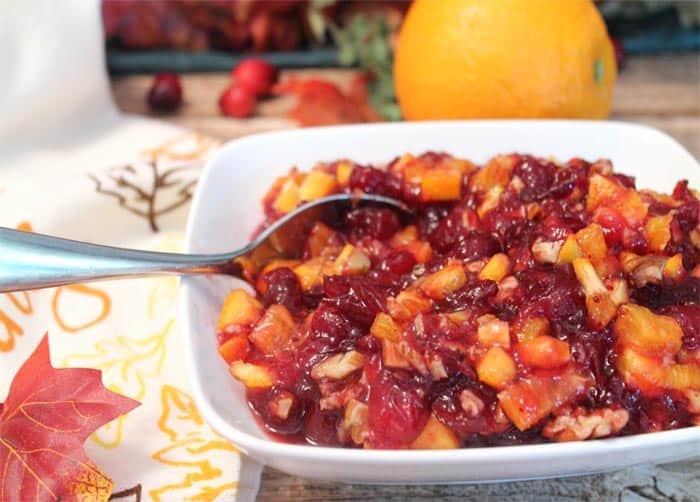 Fresh, tart, homemade cranberry orange relish is not only easy to make but the perfect cranberry side dish to serve with your holiday turkey. What are some of the standards that you think about when getting ready for Thanksgiving. Of course there’s turkey and stuffing, mashed potatoes, green bean casserole and, lastly, cranberry sauce. Now most people don’t think about making their own homemade cranberry sauce for this special occasion but it’s way easier than you think. The nice thing about making your own is all the ingredients are fresh and you can adjust it to your liking, making it as tart or sweet as you want. 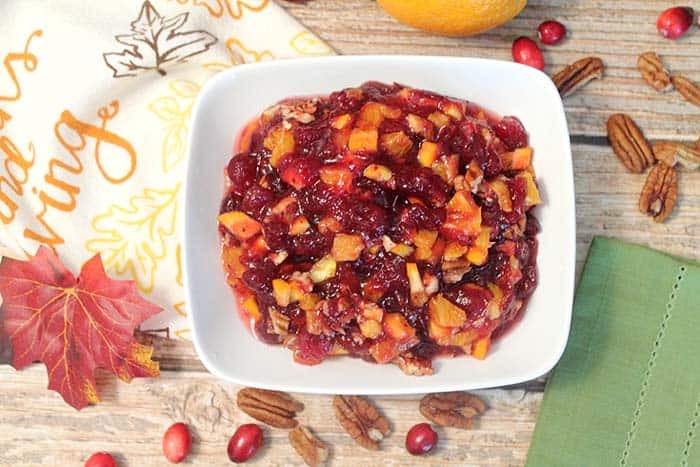 It’s chock full of fresh chunks of tart cranberries, sweet orange and crunchy pecans which are the perfect pairing with your Thanksgiving turkey or any poultry or pork. 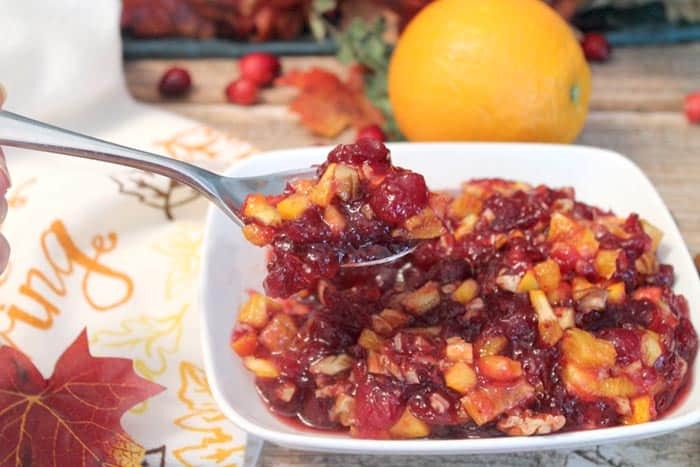 You can use either fresh or frozen cranberries, since fresh aren’t easy to find outside of holiday season and, of course, beautiful Florida oranges. 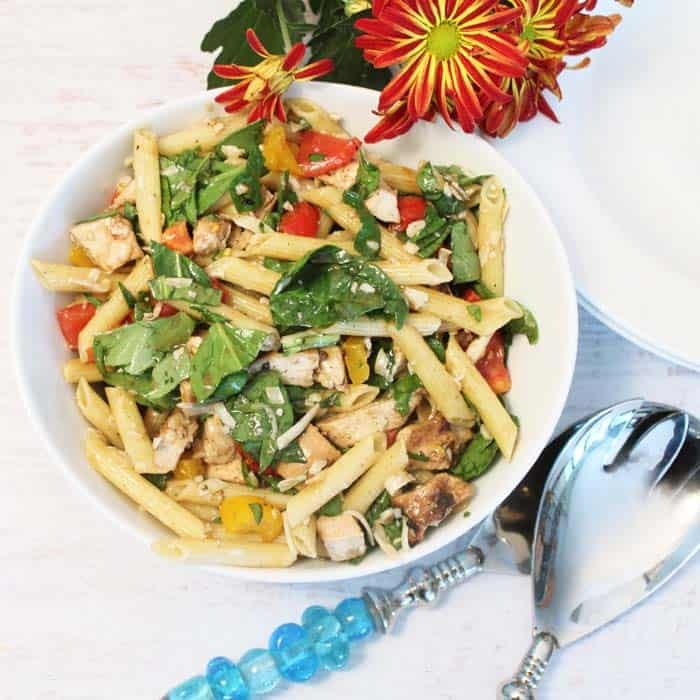 I like to add pecans as well but it’s totally optional. 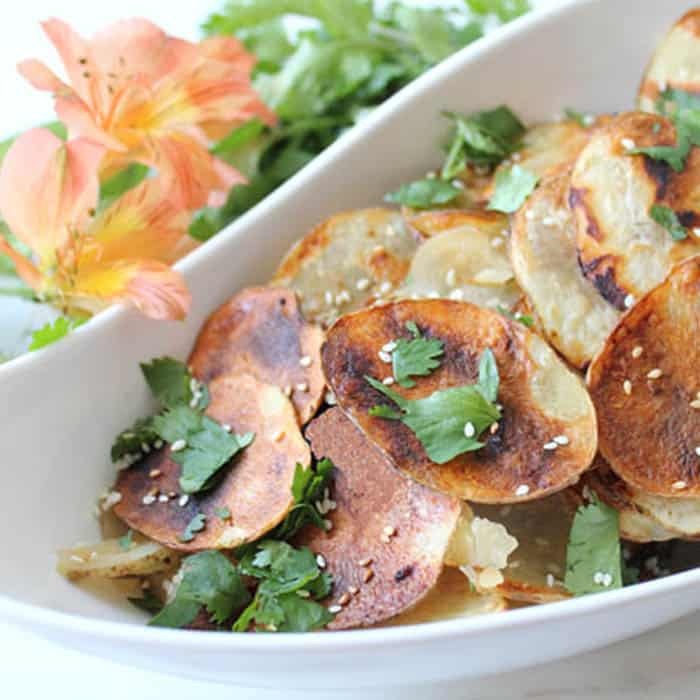 You can make this a week ahead of the big day or wait until the day before so there are no worries for getting it ready at the last minute. Try it out this year and cranberry sauce might not get relegated to the “oh I almost forgot” place next year. 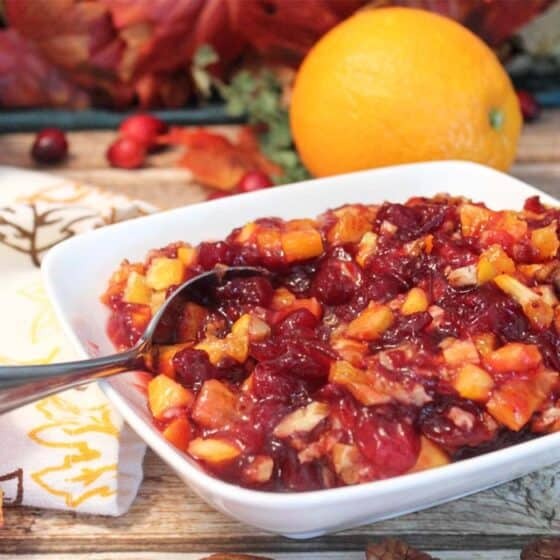 Coarsely grind cranberries and oranges in a food processor. 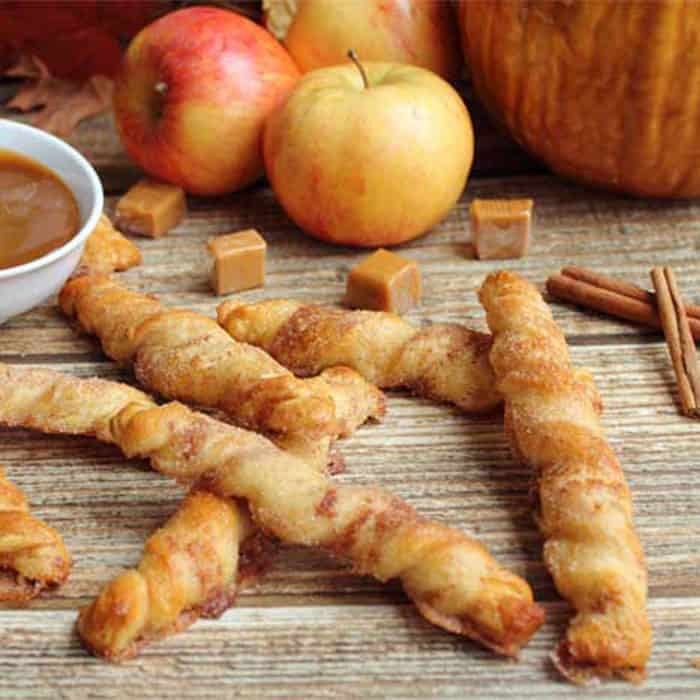 Add sugar until you reach your desired sweetness. Cover and refrigerate for at least overnight. Will keep for 2 weeks. Thanksgiving Wine Pairings Thanksgiving Turkey - It's in the Bag!